We're giving away 10 Blu-ray DVD copies of The Boss, courtesy of Universal Pictures Home Entertainment; and all you have to do is provide your name, email and mailing address... No trivia questions, running through hoops, etc.. How easy is that? We'll select 10 winners (one DVD per household) and ship your prize via FedEx or USPS (after July 26th.) All entries must be received by Monday, July 25th at 11:59 PM EST, so act fast. Good luck! Synopsis: Academy Award-nominated star Melissa McCarthy (Bridesmaids, The Heat, Tammy, Spy) headlines The Boss as a titan of industry, who is sent to prison after she’s caught for insider trading. When she emerges ready to rebrand herself as America’s latest sweetheart, not everyone she screwed over is so quick to forgive and forget. 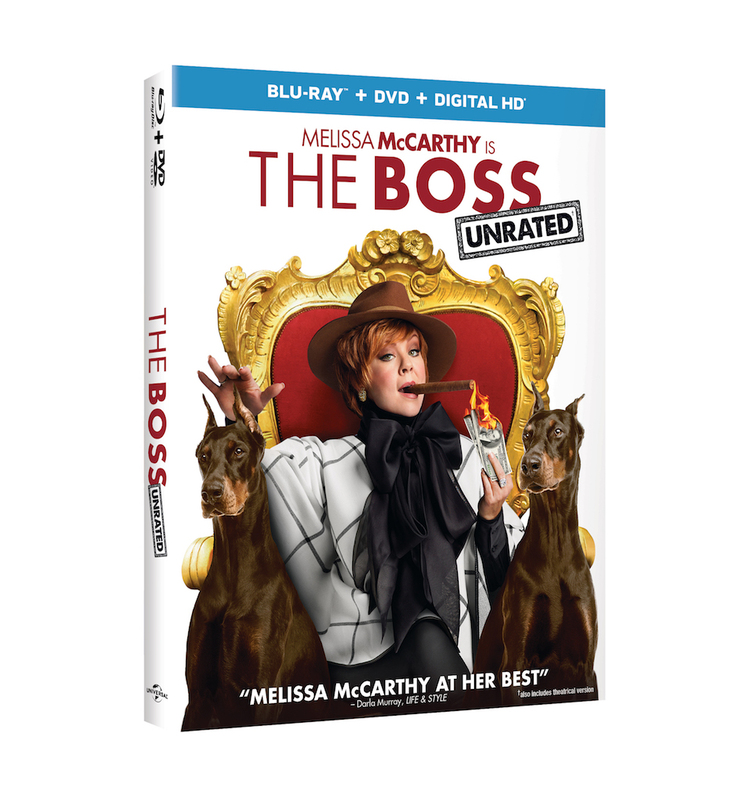 The Boss is available on Digital HD (July 12th) and Blu-ray/DVD, Tuesday, July 26, 2016. Click here to purchase online.